Star Wars Episode VIII is set to go in front of cameras later this month and the Rian Johnson directed film's stars are promising big things. 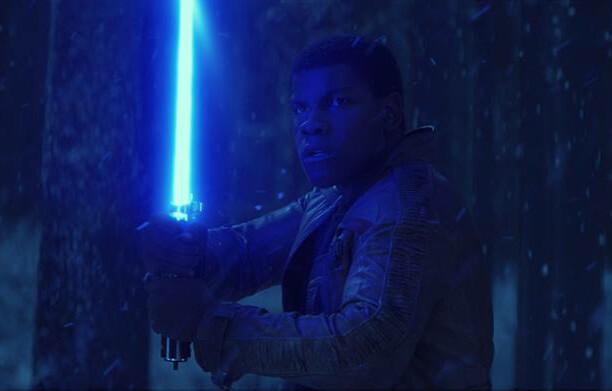 John Boyega, who plays Finn, spoke with Vogue recently about his Star Wars experience. When asked about Episode VIII, Boyega said, "It's great. Much darker, but we're very excited." Boyega's remarks echo those of his co-star Daisy Ridley (Rey) who called the Episode VIII script "very good" when asked about it last month. The Force Awakens director JJ Abrams also had high praise for his successor's script, with his friend Greg Grunberg (who also happens to play Snap Wexley in the film) saying that Abrams liked Johnson's script so much that he wished he was making it. Star Wars Episode VIII hits theatres on May 26, 2017. ^ my god you're stupid. Look again, Kevin. George Lucas directed I, II, III, and IV. Irvin Kershner directed Empire. Richard Marquand directed Jedi. JJ Abrams decided not to direct the next movie because it was happening so quick & he didn't want to spend the time away from his family again.